The Bottelary Hills Conservancy (BHC) is a conservation area enclosing the Bottelary Hills, situated approximately 40km East of Cape Town, South Africa. Private landowners, together with conservation authorities initiated a conservation program which lead to the formation of the BHC in 1992. The organisation received non-profit status in 2008. Furthermore BHC falls within the Cape Winelands Biosphere Reserve (http://capewinelandsbiosphere.co.za/) where it serves as a buffer zone to protect and maintain the rich biodiversity of the area. This is achieved by implementing alien plant eradication, fire management and enviromentally sustainable farming practices. The first grape varieties were planted on the slopes of the Bottelary Hills during the early 1700’s. The unique terrior of the area is ideally suited to the production of superior quality wine grapes. Today numerous internationally renowned wine estates lie amongst these hills. The remaining renosterveld areas make up the core of BHC and are the focus of conservation efforts. 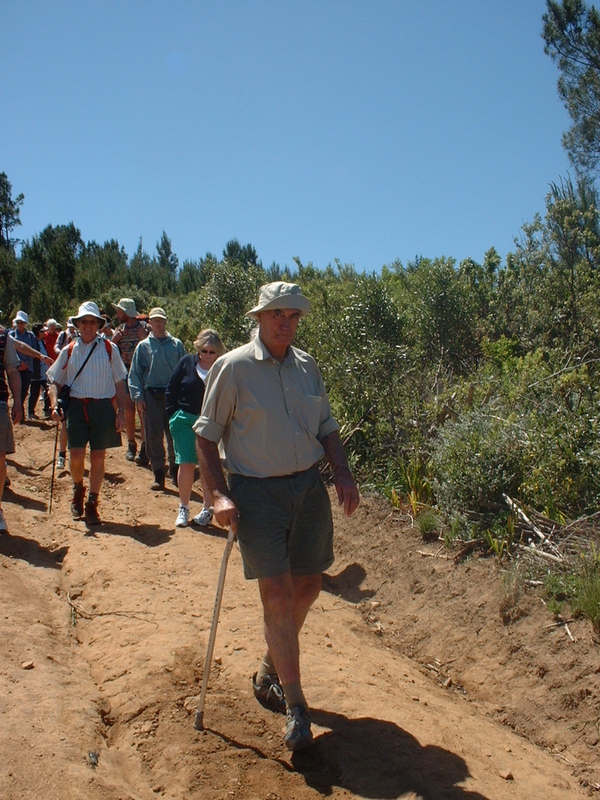 The late “Oom Stevie” was the driving force behind the formation of the Bottelary Hills Conservancy, served as Chairman on the Conservancy Committee for many years and was actively involved until his passing. He fell in love with the outdoors while exploring the Cederberg Mountains as a student. His passion for hiking led him to the peak of Kilimanjaro at the age of 66. Besides his reputation as a very successful viticulturist and winemaker, he also co-founded the Stellenbosch Wine Route. Nature conservation became his calling, manifested by the proclamation of a private nature reserve on his Koopmanskloof Estate. The aim to preserve the natural fauna and flora of the area. The reserve boasts a beautiful collection of Proteas.